It was the most excellent opportunity I’ve ever had in my life. A long time ago, I was just a little girl and a dreamer at the same time. But today, I’m a half dreamer, and the next day, I fight to make them come true. 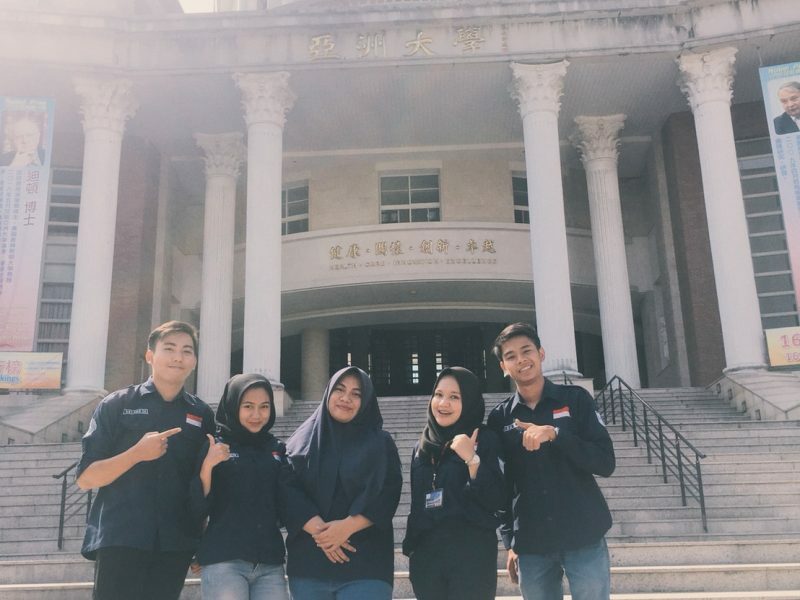 Last September, me and my four friends (Kholifah A. P, Indi Rahmadiani, Galang S. Akbar, Dion S. Adjie) was sent by IGOV to take our student exchange program to Asia University in Taiwan. It was my very first time I went abroad and life so far away from home. It’s was really hard at first, we have to adjust our self in the country that has a pretty different environment. It’s all about the weather, the food, the language, and how to survive in the minority country. It doesn’t take a really long time, at least in the 3rd weeks, everything is already handled well. We learn so much in Taiwan, isn’t all about the study in the class, but we also got many things from our daily life. The level was fun, our favorite course is Taiwanese Culture & Chinese Language, we learn so much about Taiwanese culture including their Tea Tradition, Taiwanese people’s habits, learn about their martial arts, and also making crafts. In Chinese Language class, we learn the necessary words and sentence to help our daily life in Taiwan, as the example, how to order food & drink, how to greet people, and many more. 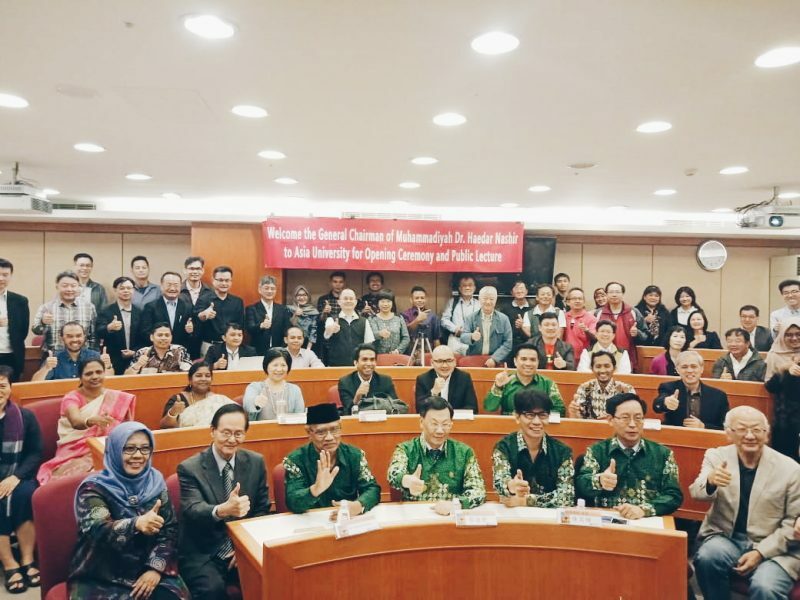 In Taiwan we also joined many activities out of the class, we entered the Indonesian Student Association and participating in their event on Indonesian Culture Festival, we also joined in Indonesian Muslim Forum of Taichung. We also met many friends from all around the world, sharing many things, exchange knowledge about Indonesia & their country. We are close to each other, we live in the same dorm & became a new family. It’s such a good time to build new international relations among us. I’m glad that besides my primary purpose to study in Taiwan, we also have the opportunity to travel to Taiwan. We went to many tourism places like Sun Moon Lake, Qinjing Farm, Houli Flower farm, and enjoy Taiwan’s night market.